BDO can assist the student members of Beta Alpha Psi by presenting at chapter meetings on career or technical related topics such as accounting, career development, the recruitment process, and/or interview preparation. BDO can also facilitate and deliver a variety of team building activities, act as mentors to students and provide internship and career opportunities to BAP students. BDO is the brand name for BDO USA, LLP, a U.S. professional services firm providing assurance, tax, financial advisory and consulting services to a wide range of publicly traded and privately held companies. For 100 years, BDO has provided quality service through the active involvement of experienced and committed professionals. The firm serves clients through 40 offices and more than 400 independent alliance firm locations nationwide. As an independent Member Firm of BDO International Limited, BDO serves multi-national clients through a global network of 1,138 offices in 115 countries. Stephanie joined BDO’s San Francisco office in 2008. She has more than 6 years of campus recruiting experience in retail and public accounting, and acted as BDO’s west region Campus Recruiting Manager for nearly two years before moving into her current role in 2009. As National Director of Campus Recruiting, Stephanie leads BDO’s campus recruiting vision nationwide, working with Campus Recruiting Managers to ensure that BDO attracts top talent from some of the best accounting programs in the country. She oversees BDO’s annual summer leadership program for college students, called Pathway to Success, which is an integral and successful part of the firm’s talent acquisition strategy. In addition to her role as National Director of Campus Recruiting, Stephanie also began serving as Generational Strategy Advisor to the firm in 2011. As Generational Strategy Advisor, Stephanie works with firm leadership to promote understanding of the different generations currently active within BDO’s workforce in order to best leverage the strengths of each group. 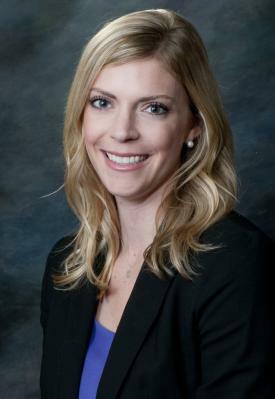 Stephanie is a 2003 graduate of the California State University, Chico with a Bachelor’s degree in Business Marketing.